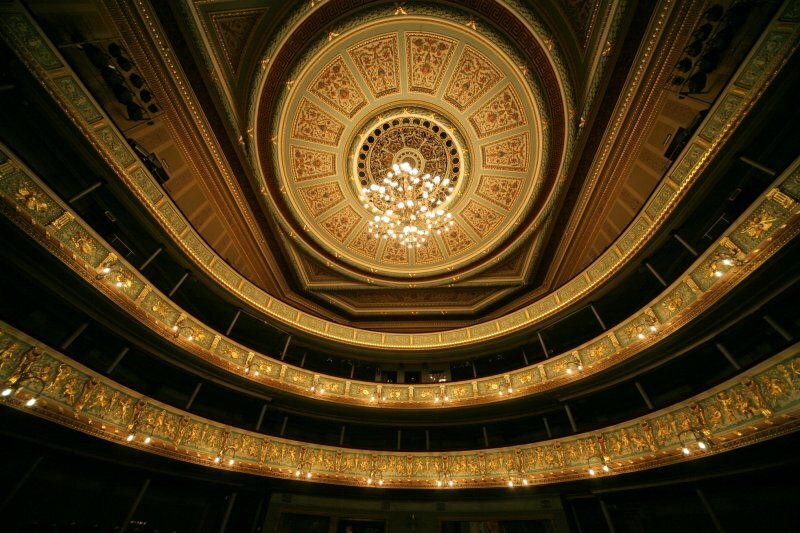 Latvian National Opera: Where words fail, music speaks. Latvia has a rich musical heritage. Not only do folk songs, or dainas, flourish here, but the country also has a rich tradition in opera. Often misunderstood and misinterpreted, opera is an art form that has managed to survive even in the days of computer graphics and special effects wizardry. Perhaps this is because the more computerised and technologically advanced we become, the more people wish to return to simpler, more traditional values. Or perhaps the ritual and glamour of black ties and evening gowns, chandeliers and champagne, and those funny little binoculars allows even the most average Joe to feel like royalty for one evening. Opera companies from Russia, Poland and Italy gave guest performances here, and the German composer Richard Wagner even spent two years here, in the late 1830s, getting in to debt; he left Riga inspired to compose The Flying Dutchman. In 1912, under the guidance of conductor Pavuls Jurjans the first true Latvian company was born: the Latvian Opera. During the First World War it was evacuated to Russia, but returned to Riga in 1918. The building which is now the Latvian National Opera (LNO) was built in 1863. Designed to be viewed from all sides, the LNO is truly one of Riga’s most celebrated landmarks. 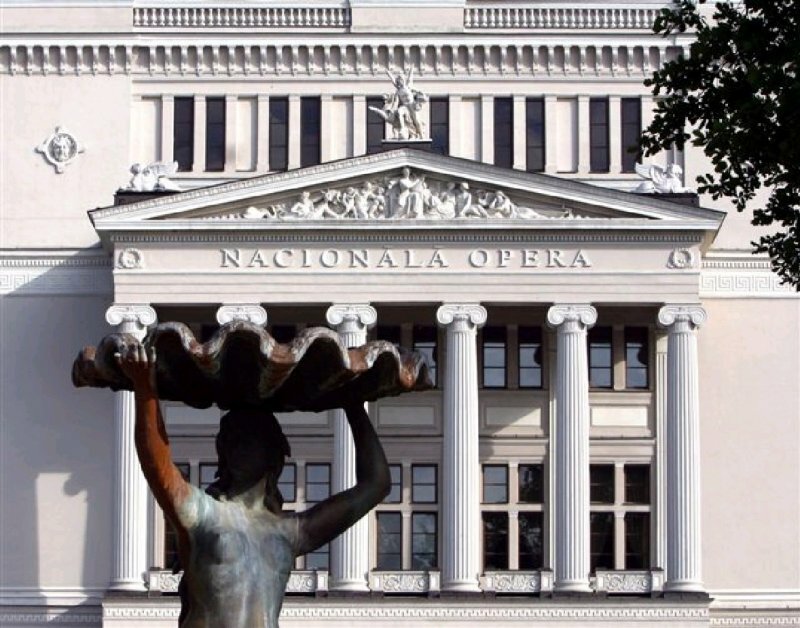 Since independence in 1991, Latvia has spent tens of millions of Euros on opera, much of that money having gone to refurbish the opera house. Over the past decade renovations on both the exterior and interior have restored the original splendour of the building. The classical façade, with a pediment supported by Ionic columns, is mirrored in the grandeur of the interior, where gilded arches, chandeliers and red velvet provide a perfectly elegant setting for the enjoyment of the timeless art form that is opera. At the end of 2001, the LNO unveiled its East-wing expansion. Dubbed the New Hall, the addition includes numerous rehearsal spaces, offices, and an intimate stage used for chamber opera and smaller-scale performances. Both the main stage and New Hall are used for touring shows and concerts as well. Under the leadership of General Director Andrejs Zagars, the LNO has experienced a true rebirth and, according to the UK newspaper The Times, is one of the best operas on the continent. Frequently used by the government to entertain visiting dignitaries, the LNO has become the crown jewel of the Latvian cultural scene. Since 1998 the annual Riga Opera Festival has taken place over the course of two weeks every June and is well-known throughout Europe as a must for true opera aficionados. The festival closes the season of the Latvian National Opera. During the festival everyone has the chance to see and hear the best performances from the previous year, as well as something new. The Opera employs a staff of more than 600 who work behind the stage, from lightning to scenery, make-up and sound. In fact, of the 3,084 square metres that the opera occupies, the stage takes up only 24 percent. The remaining area is filled with dance instructors, technicians and costume mistresses. To call the wardrobe room a “closet” would be a gross understatement, as that storage space in fact holds hundreds of garments. On an average night each performer changes into three costumes. Lead roles must tear their outfits on and off at least five or six times. The Opera Company comprises a permanent group of artists whose fame and reputation is growing throughout the world owing to the bright voices of the soloists and smooth timbre of the chorus. Most of the soloists and chorus members developed their vocal skills at the Latvian Academy of Music and then continued their studies abroad. Many of the lead roles, however, are cast with internationally acclaimed singers. Productions of Aida, Alcina and The Queen of Spades have gained wide international acclaim as the LNO frequently travels with both its opera and ballet productions, having performed on stages around the Europe and as far away as Asia. For example, singers such as Elina Garanca, Inga Kalna, Egils Silins, Aleksandrs Antoņenko, all of whom now perform abroad, began their careers at the LNO. Soprano Inese Galante has released numerous CDs and gives solo performances all across Europe. Every summer she invites very best performers from around the world to perform in the Summertime festival, which takes place in Jurmala (Latvia). The LNO repertoire covers a wide range of styles, from Baroque operas (Handel’s Alcina and Acis and Galatea) to classic opera and ballet masterpieces (operas by Verdi, Puccini, Mozart, Wagner, Tchaikovsky, Adam, Delibes, and classic Russian ballets) and 20th-century works by Latvian and international composers. And still the LNO is constantly adding to its repertoire, with at least two new major productions each year. The repertoire now includes 16 operas and 15 ballet and dance performances. International stars frequently make appearances in LNO productions. In a constant effort to improve, the opera also invites designers from other companies, such as the lighting designer from Covent Garden, Eric Otto, to contribute to productions in Riga. Recent opera productions include The Magic Flute, La Traviata, and Carmen. Zagars himself has tried his hand at directing and his debut was his direction of Richard Wagner’s The Flying Dutchman staged in 2002. 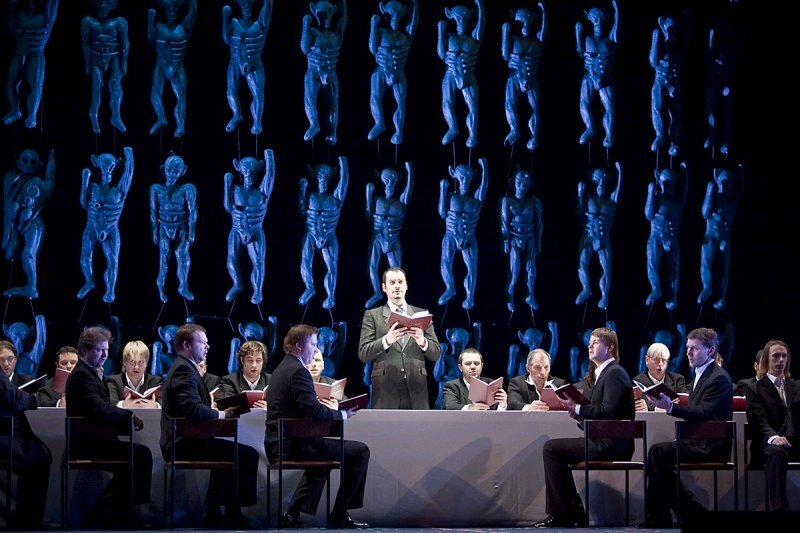 He also directed Anton Rubenstein’s opera The Demon, in 2003, and Pyotr Tchaikovsky’s The Queen of Spades, in 2005. Although the LNO has performed for presidents and prime ministers, you don’t need to be a head of state to afford tickets here – depending on the performance (premieres being more expensive) 14 – 71 EUR gets you a decent seat with a fine view. You can buy these from the LNO box office or online at www.bilesuparadize.lv. Check www.opera.lv for complete repertoire listings.